If you are a fan of the original Doom Blood game and have wondered if you could ever play it on your Windows Mobile device, here’s you answer – yes you can! 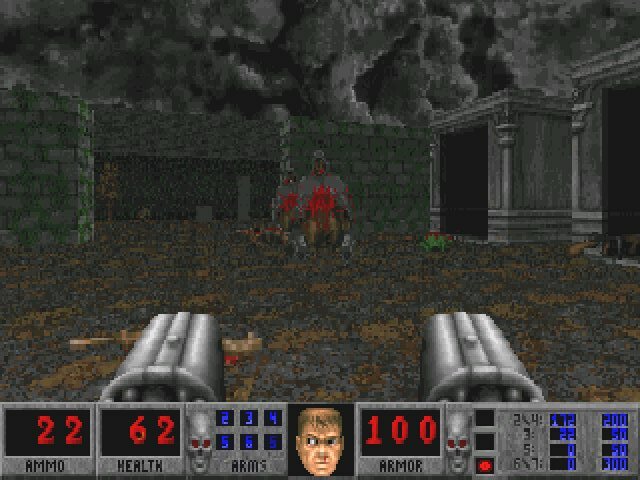 XDA forum member Wolfas has ported the original Doom Blood game to Windows Mobile in a Total Conversion WAD file – there is no need for the original Doom2.wad. It runs off the emulator for Pocket PC, GFDoom. For those of you who are not familiar with the term, WADs are package files containing levels and game data (Where’s All the Data?). Many players create their own mods for WAD files and their are thousands floating around the web for Doom. A Total Conversion is a WAD that replaces all or almost all the resources used within the original game. Wolfas has also provided skins for GFDoom which redesign the onscreen button layout for the HTC Raphael and HTC Diamond, although these should also work with other devices. If your device does not have a navigation pad, don’t worry as Wolfas has also provided a skin for this. If the hardware buttons do not work on your device, the dev has also offered to modify skins to support them. To download the beta2 files and instructions on how to install, check out the application thread.